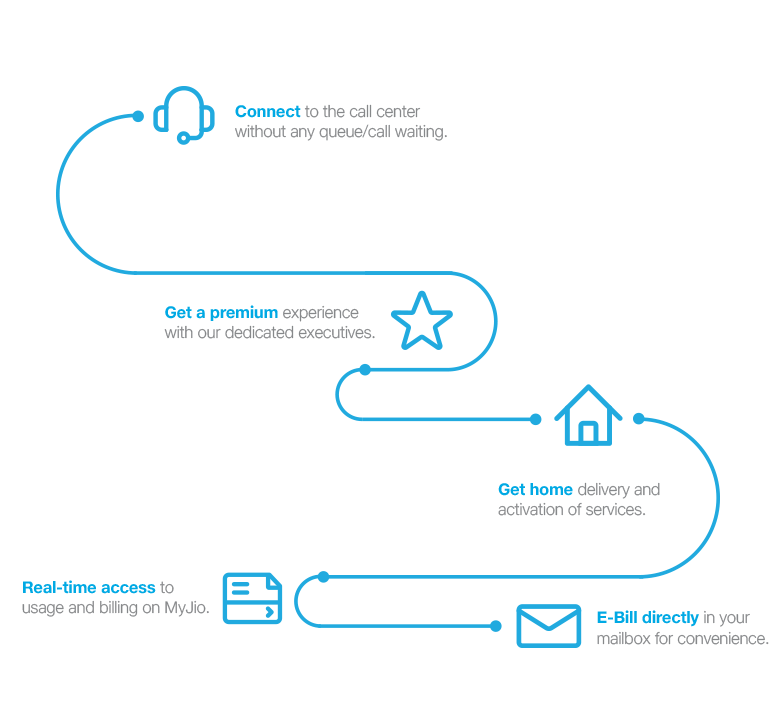 All your postpaid services such as Voice, Internet, SMS, International calling will be pre-activated. UNLIMITED PLAN - no high overages, bill shocks, unpredictable bills! Opt for AUTO-PAY and stop worrying for life (never face barring/billing issues) - zero click payment monthly. E-Bill at your fingertips - Check your bill in real-time and also get in your inbox at the end of the month. ALWAYS-ON - A service that never stops! Anywhere in the world.  Built to support video viewing by millions of people concurrently. Largest mobile data network in the world. Pre-Activated ISD on your Jio number. No rate-cutter or service charges to get good International calling rates. 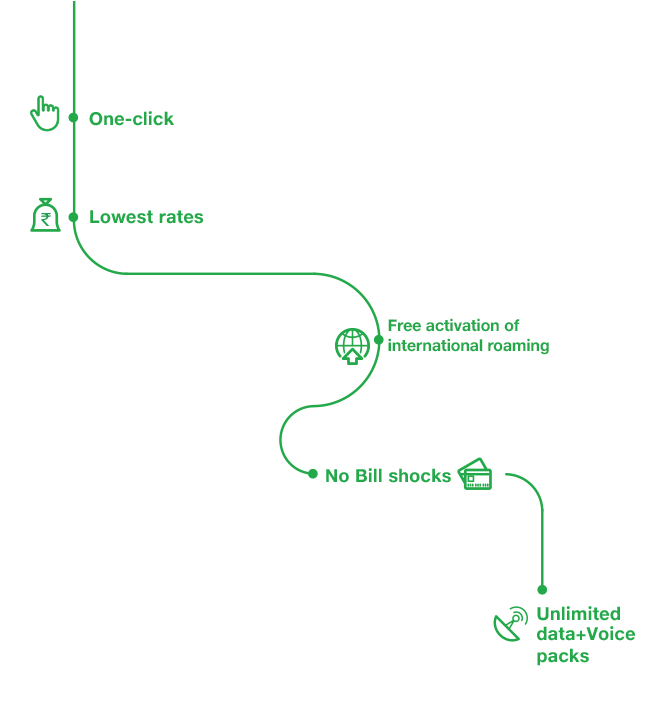 One-click activation of international roaming services. No bill shocks due to high rates. Lowest rates across the world (even without opting for any pack) - FIRST TIME IN INDIA. Unlimited data and voice packs to roam around the world conveniently. Activation of international roaming is free - without any monthly charge or security deposit. Limited exposure by a set credit limit. 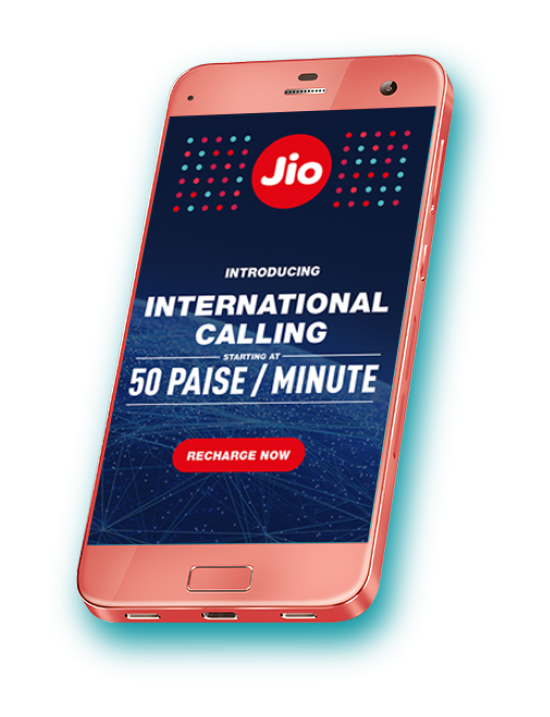 What are the benefits in Jio's postpaid plan? 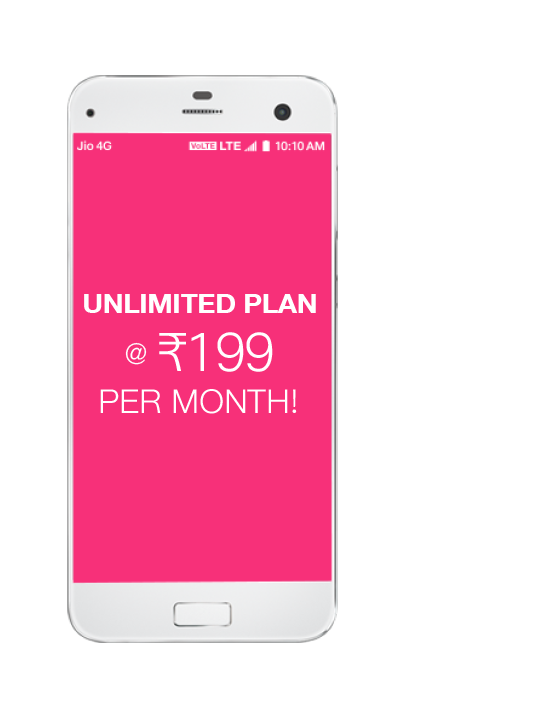 Is the Postpaid Plan 199 applicable only for new customers? The Postpaid plan 199 is applicable for both new as well as existing customers. How do I apply for postpaid plan 199? 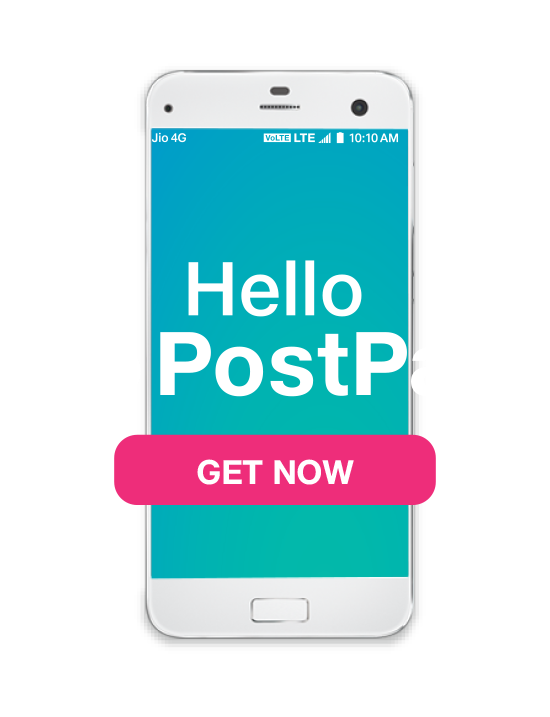 If you are an existing Jio postpaid customer, please login to MyJio app / Jio.com and click on "Change Plan". You will be asked to pay a refundable security deposit as per the chosen plan. The new plan will be applicable from the next bill cycle. Any deposit paid for earlier postpaid plan, will be adjusted in the subsequent bill. How can I increase the Credit Limit for my account? You can pay an additional deposit to enhance the credit limit. Please login to Jio.com and select the option to enhance the credit limit. The amount paid will remain as a security deposit. In case you anticipate higher usage for an interim period, you can make an advance bill payment to continue uninterrupted service. Is e-bill mandatory if I opt for this plan? Yes, e-bill is mandatory for all Jio Postpaid customers.